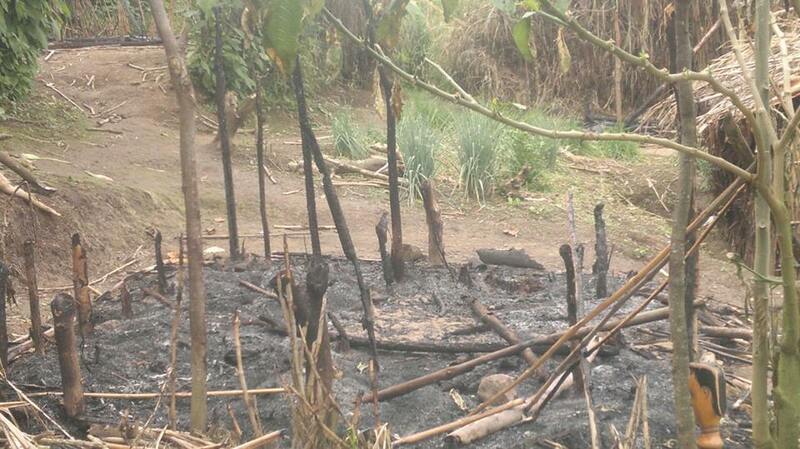 RDC: THE RWANDAN ARMY ATTACKS HUTU REFUGEE CAMP BASED IN KANANIRA, NORTH-KIVU. In the night of Friday, the 06th till the dawn of Saturday, 7th November 2015 the Rwandan Defence Force (RDF) allied with the FARDC forces attacked Kananira Rwandan refugee camp, thus killing scores of Hutu refugees and injuring many others. Refugees had to flee the camp and sought refuge in the DRC’s dense forest. The refugee camp is now occupied by the RDF soldiers and has, for the last four days, been used to launch their attacks to Hutu refugees. These forces are headed by Gen. Eric Ruhorimbere whose ethnic background is Banyamulenge, popularly known as Tutsi Congolese. It should be noted that these are refugees, who are being attacked, were abandoned to their own fate by the international community as from December 1996. So far, they have survived several joint military operations. Rwandan refugees’ dignity has been assailed by the said military attacks and have been deprived their humanity by the international community when it abandoned them to the RPF to do whatever shameful things their hearts desire. As a result, the RPF had been killing them without any condemnation from the United Nations (UN) and other international organisations. The silence of international community is truly contrary to the principles enshrined in the UN Charter under which it declared the responsibility to protect every human being’s dignity as well their fundamental rights. These rights include to seek asylum in another country and to have access to social relief and assistance. On top of this, refugees should enjoy an international protection offered by the UNHCR. Why should they be excluded from such protection? An assault to Hutu refugees was launched at the same time Kagame was falsely and ironically accusing his counterpart, His Excellency, President Pierre Nkurunziza to attack his own citizens. His intent was to use these accusations as pretext to violate the Burundian sovereignty by way of exporting his massive killings to Burundian soil. The Nkurunziza’s government had been singled out by Kagame and Kaguta for the sole ground of being a loyal Hutu who is committed to protect both interests of Hutus and Tutsi, on equal footing, in that he was viewed as a stumbling block to Hima-Tutsi empire expansion. Though Nkurunziza’s police officers showed a highest level of discipline in the recent violence which was sponsored by Kagame and Kaguta regimes, Kagame does not cease to falsely accuse him of having a plan in place to perpetrate genocide against Tutsi. This warfare methodology had been used against President Habyalimana. As a result, millions of Hutus are languishing in jail for the genocide crimes which they did commit. Genocide against Tutsi is just a myth created by the RPF to be used as a political tool to dominate Hutu population. Henceforth, the Tutsi are calling the Jews of Israel in order to appeal to international intervention for them to be able to suppress all Burundian and Rwandan Hutus. This approach is too dangerous. Its dangerousness is grounded in the notion of attempting to label all Hutus in the region as genocidaire by nature. However, it is in Rwanda where the Human Rights Watch and Amnesty International have been reporting incidences of forced disappearance, arbitrary arrests and assassinations. Added to this, the October 2010 UN Mapping report have detailed 617 incidents under which Kagame had committed massacres against Hutu refugees and internally displaced persons in indiscriminate and violent manner. These massacres were committed between 1993 and 2003. According to the said report, these massive killings could amount to or classified as genocide against Hutu population. It goes without saying that several special rapporteurs – including Gerson – have compiled reports of how the RPF mercilessly committed massive atrocities against Hutu population in the areas that fell in its hands prior to and during 1994. Madame Carla Del Pont, the ICTR Prosecutor, was sacked by United States when she expressed her intention to call Kagame and his senior military soldiers to appear before the ICTR and thus clear their names. Whilst Kagame points fingers to Burundi and the international community sides with him, it is important to note that Kagame has, in his several speeches, repeatedly vowed “to kill in broad daylight those threatening to destabilise the country.” Those who are classified as “enemy of the state” include illiterate individuals who are against social and political injustices or who merely joined opposition parties. The International community has been silent on this matter as if Rwandans, especially, Hutus are entitled to be shot in broad daylight. The United Nations through MONUSCO – which has the largest contingents – should act to protect Hutu refugees given that, firstly, they fall in the scope of the definition of the concept refugee as defined by the 1951 Convention Relating to the Status of Refugees. Secondly, they should be protect by virtue of being human-beings. The Burundian government should remain intact and thus seek justice of Hutu populations who were massacred by Tutsi elites before and after independence. They should seek justice of President Cyprien Ntaryamira who was assassinated in Rwanda by Kagame. I conclude by stating that although Hutus have been at the forefront of liberal idea of transcending division and reconciling with their Tutsi compatriots for the sake of rebuilding their countries, Tutsis are determined to destroy the two beautiful nations through unnecessary and unreasonable provocations.